An unforgettable journey into the heart of one family torn apart by war. Granada, 1920. Free-spirited Luisa and young poet Eduardo fall in love, cementing a bond that can never be broken. Behind the jasmine filled courtyard, perched amongst houses like clouds on a hilltop, stands a beautiful villa; Carmen de las Estrellas. Beneath its walls live Eduardo and Luisa with their thriving family, but war is looming, casting its shadow over the household. When Civil War finally breaks out, Luisa and Eduardo must fiercely protect those dear to them. Yet these are turbulent times, and as each of their children begin to make their way in the world, the solace of home cannot shield them from the horrors of war. 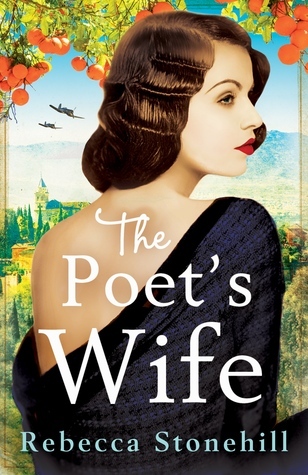 The Poet’s Wife is an extraordinary piece of storytelling spanning over fifty years – a heart- wrenching novel of a family devastated by war but bound together by love, loss and hope, told through the eyes of three remarkable women.